The Health Navigator website provides plain language tips and information about protecting yourself and your whānau. 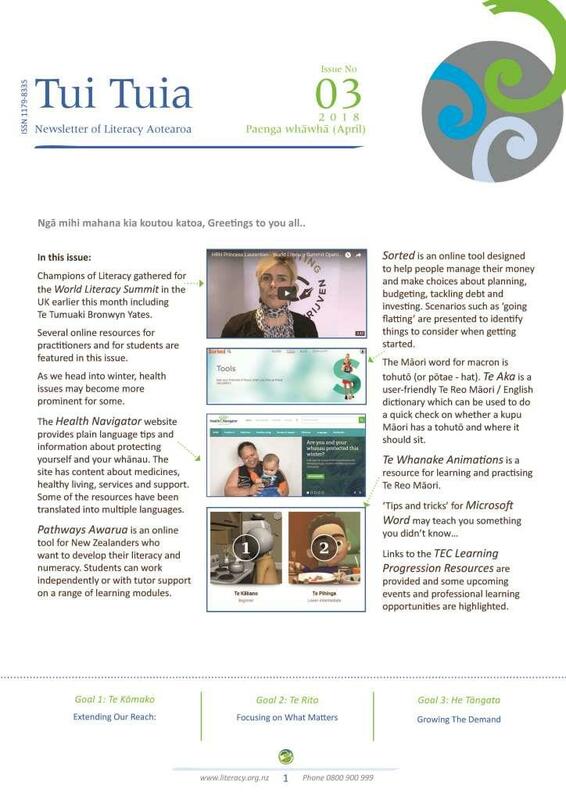 Pathways Awarua is an online tool for New Zealanders who want to develop their literacy and numeracy. Sorted is an online tool designed to help people manage their money and make choices about planning, budgeting, tackling debt and investing. Te Aka is a user-friendly Te Reo Māori / English dictionary which can be used to do a quick check on whether a kupu Māori has a tohutō and where it should sit. Te Whanake Animations is a resource for learning and practising Te Reo Māori.